If you can't find a free CSS website template that suits your needs, then why not take a look at the premium templates here. We have tons of website layouts ready for download, sometimes mistaken for CSS templates due to the name. A reference for all the standard CSS mark-up that you will need to modify the templates, layouts & menus' here. Tons of links to help you find what you are looking for when it comes to CSS and website templates. Free CSS has 2860 free website templates coded using HTML & CSS in its gallery. 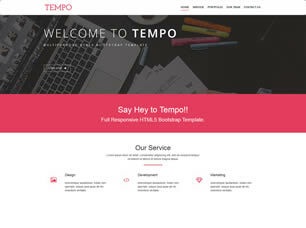 The HTML website templates that are showcased on Free CSS.com are the best that can be found in and around the net.